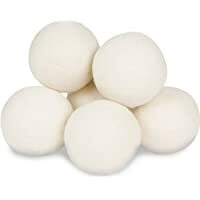 Get 6-Pack Smart Sheep XL Wool Dryer Balls (Reusable Natural Fabric Softener) from Amazon.com (via Mama Moon Boutique). 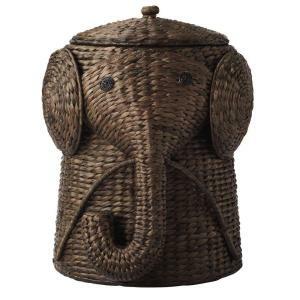 Discount : $7.12 via coupon "EARTHD42"
Get Home Decorators Collection 18" Animal Laundry Hamper (Brown) from Home Depot. 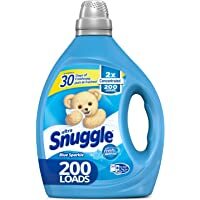 Get Snuggle 2X Concentrated Liquid Fabric Softener 200-Load 80-oz. Bottle (Blue Sparkle) from Amazon.com. Get Keiyaloe 1200W Portable Handheld Garment Steamer (Rose Purple) from Amazon.com (via Daseiyo). 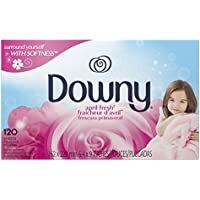 Discount : $17.15 via coupon "PS3PSYTU"
Get 120-Count Downy April Fresh Fabric Softener Dryer Sheets from Amazon.com. 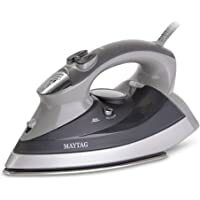 Get Maytag M400 Speed Heat Iron & Vertical Steamer (Gray) from Amazon.com. 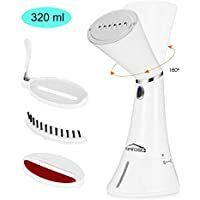 Get Housmile H102-1 Lightweight Garment Steamer from Amazon.com (via Housmile). Discount : $16.14 via coupon "55CJ51UW"
Super Hot! 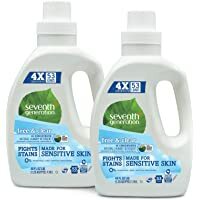 Get 2-Pack Seventh Generation Natural Laundry Detergent Free and Clear Unscented (40 Fl Oz) from Amazon.com. 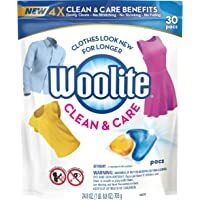 : $8.00 via coupon "7GLAUNDRY"
Get 30-Count Woolite Clean & Care Laundry Detergent Pacs from Amazon.com. 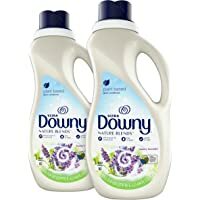 Get 2-Pack Downy Nature Blends Liquid Fabric Conditioner & Softener from Amazon.com. 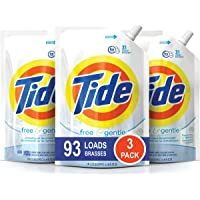 Get 96-Count Tide Free and Gentle Laundry Detergent Pods, Unscented from Amazon.com. 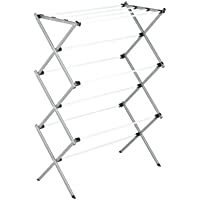 Get Honey Can Do Heavy-Duty Rustproof Metal Drying Rack (Silver) from Amazon.com. Get All 2x Ultra Stainlifter Liquid Laundry Detergent (150 oz) from Walmart.com. 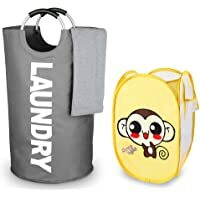 Get STAR HOME Laundry Hampers Dirty Clothes Sorter Laundry Baskets (Grey) from Amazon.com (via Doudu Official Store). 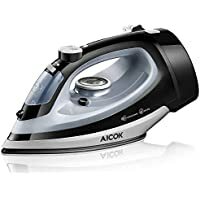 Discount : $12.49 via coupon "50VONF4R"
Get Black+Decker Impact Advanced Steam Iron (Gray) from Walmart.com. 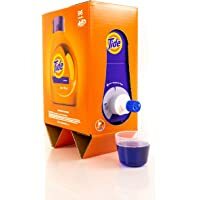 Get Tide Liquid Laundry Detergent Eco-Box (105 fl oz, 96 Loads) (Original Scent) from Amazon.com. Get Magic Chef 1.6 cu.ft. 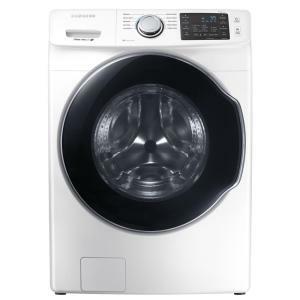 Topload Compact Washer from Walmart.com. 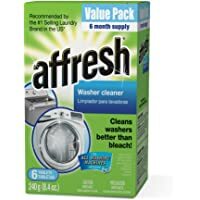 Discount : $18.14 via coupon "55CJ51UW"
Get Affresh 6-Tablets Washer Machine Cleaner (8.4 oz) from Amazon.com. Discount : 15% instant discount when you checkout using "Subscribe & Save"
Price Drop! 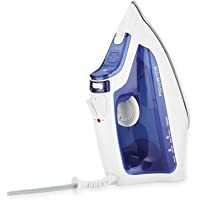 Get Mainstays Lightweight Handheld Steam Iron from Walmart.com. 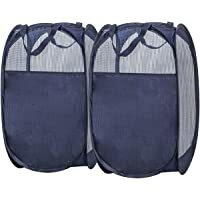 Get 2-Pack STORAGE MANIAC Pop-Up Mesh Hamper with Carry Handles from Amazon.com (via MegaV+). 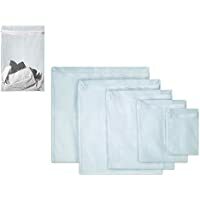 Get BaHoki Essentials 5-Piece Mesh Laundry Bags Set from Amazon.com (via BIGFLY). 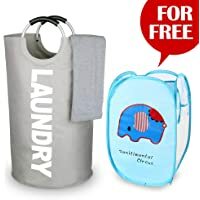 Get Star Home Family Laundry Bags with Aluminium Handles (Light Grey) from Amazon.com (via Starring Store). 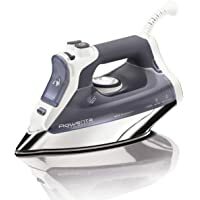 Discount : $9.60 via coupon "PF7M5YZ8"
Get Mainstays Lightweight Handheld Steam Iron from Walmart.com. 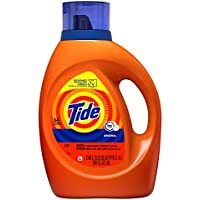 Get Tide Free Gentle Liquid Laundry Detergent (100 fl oz) from Amazon.com. 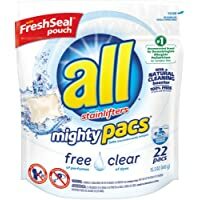 Get 22-Count all Mighty Pacs Laundry Detergent Unscented Pouch (Free Clear for Sensitive Skin) from Amazon.com. 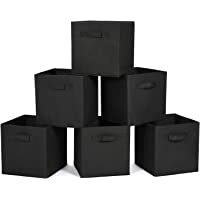 Get 6-Pack MaidMax Foldable Cloth Storage Cube (Black) from Amazon.com (via MaidMax). 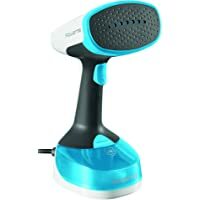 Discount : $8.00 via coupon "BBOSR8MM"
Get Rowenta DR7000 1100 Watts Hand-Held Garment Steamer from Amazon.com. 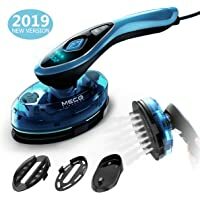 Get MECO 1200W Handheld Garment Steamer with Digital Display, Adjustable Temperature from Amazon.com (via MECO_DIRECT). 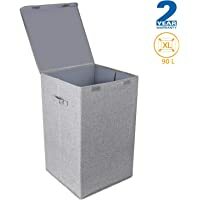 Discount : $17.20 via coupon "4MM9IV6Z"
Get CLEEBOURG Foldable Laundry Hamper with Lid and Handles from Amazon.com (via CLEEBOURG DIRECT). Discount : $14.50 via coupon "2AZERWCN"
Lowest Ever! 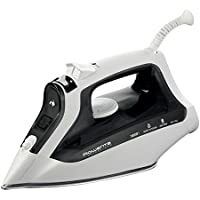 Get Rowenta DW2170 Access Steam Iron from Macys.com. Super Hot! Lowest Ever! 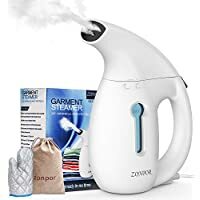 Get Zonpor Fast Heat Up and Powerful Steam Portable Handheld Clothes Steamer from Amazon.com (via Zonpor Direct). 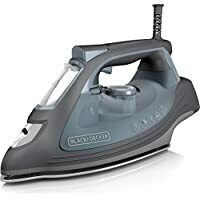 : $15.59 via coupon "60JU691U"
Get BLACK+DECKER D2530 Digital Advantage Professional Steam Iron (Blue) from Amazon.com. 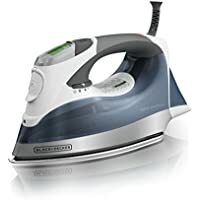 Get Rowenta DW9280 Steam Force 1800-Watt Professional Digital LED Display Iron from Amazon.com. 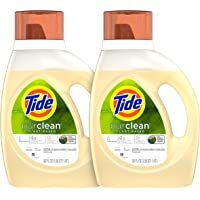 Get 2-Pack Tide Purclean Plant-Based Laundry Detergent (50 oz) (64 Loads) from Amazon.com. 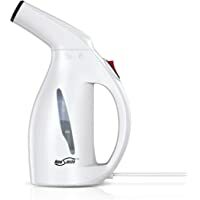 Get AICOK Steam Iron 1700W Professional Garment Steamer from Amazon.com (via Impression-us). Discount : $9.00 via coupon "36H3KC6F"
Amazon Lightning Deal! 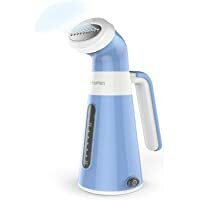 Get Glamfields 135ml Portable Handheld Clothes Steamer from Amazon.com (via vip-life shop). 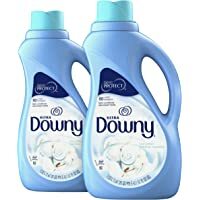 : $10.50 via coupon "30ET4AZX"
Get Rowenta DW2171 1600W Comfort Steam Iron (Black) from Amazon.com. 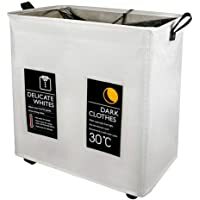 Discount : $6.00 when you check the box for "Save an extra $6.00 when you apply this Coupon"
Get Y-home 2 Compartment Laundry Hamper with Wheels from Amazon.com (via SAIMPU-US). 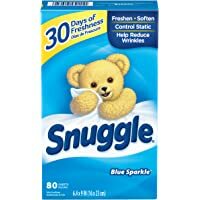 Discount : $20.00 via coupon "K59HI7R8"
Get 80-Count Snuggle Fabric Softener Blue Sparkle Dryer Sheets from Amazon.com. 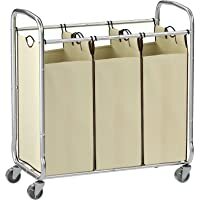 Today only, get SONGMICS 3-Bag Rolling Laundry Sorter Cart from Woot.com. 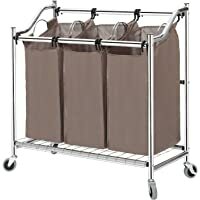 Today only, get Storage Maniac 3-Section Heavy Duty Laundry Hamper Sorter from Woot.com. 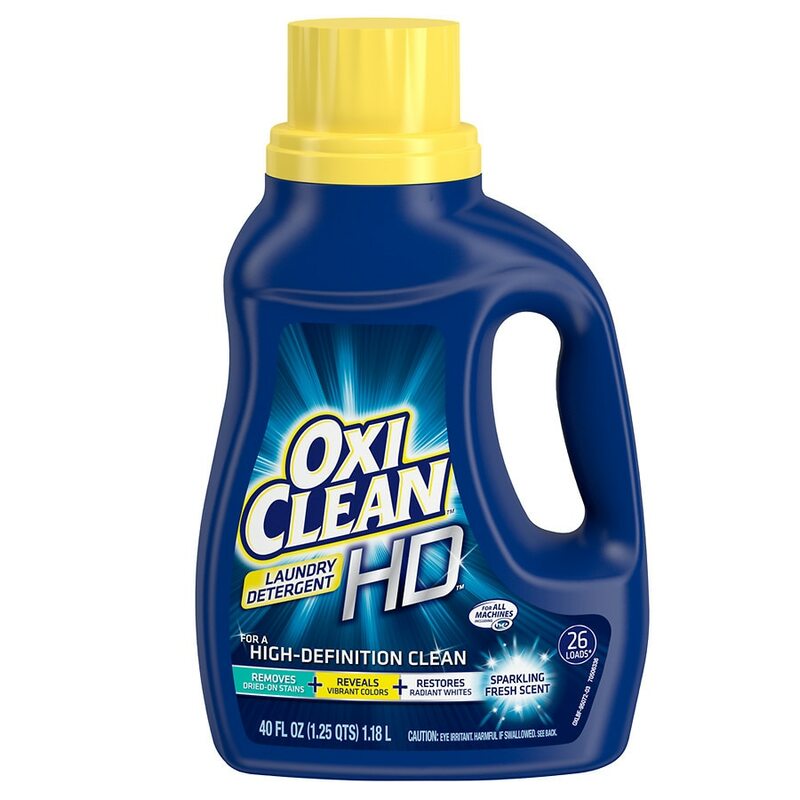 Get OxiClean HD Laundry Detergent, Sparkling Fresh (40Oz) from Walgreens.com. 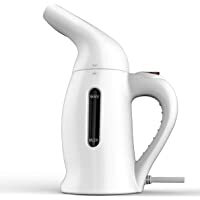 Get Magictec Portable Handheld Travel Garment Steamer from Amazon.com (via RUIS). Add-on Item! 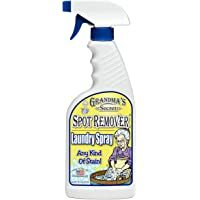 Get Grandma's Secret GS7001 Laundry Spray, 16-Ounce from Amazon.com. Add-on Item! 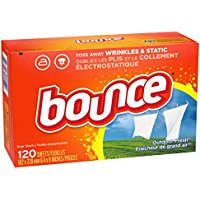 Get 120 Count Bounce Fabric Softener Dryer Sheets for Static Control from Amazon.com. 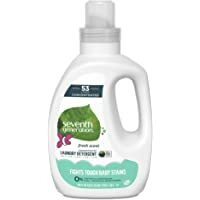 Get Seventh Generation 53 Loads Baby Concentrated Laundry Detergent (Fresh Scent) 40 oz from Amazon.com. Get Costway 17.6-lb. 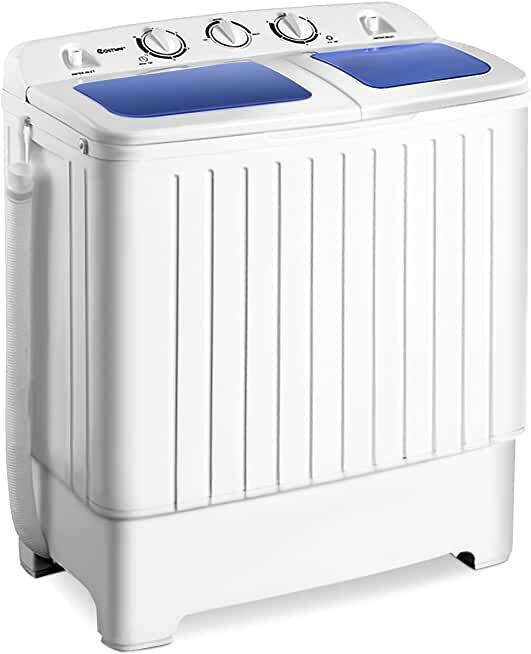 Portable Compact Washing Machine with Spin Dryer from Rakuten.com. 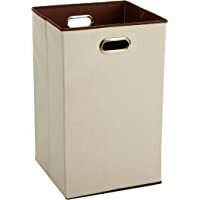 Get AmazonBasics Foldable Laundry Hamper from Amazon.com. Super Hot! 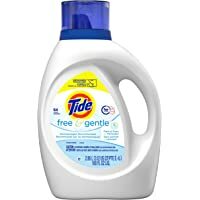 Get Tide Original Scent HE Turbo Clean Liquid Laundry Detergent (40 oz 25 loads) from Walgreens.com. 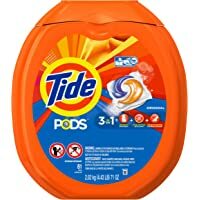 Get 81-Count Tide PODS Original Scent HE Turbo Laundry Detergent Pacs from Amazon.com. 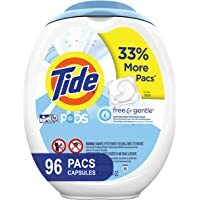 Get 81-Count Tide PODS 3-in-1 HE Turbo Laundry Detergent Pacs (Spring Meadow Scent) from Amazon.com. Get Samsung DV45K6200GW 7.5 Cu. Ft. Dryer with Steam Cycle (Electric) from Sams Club. 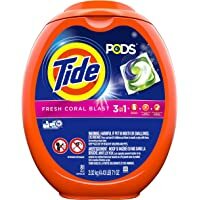 Get Tide HE Turbo Clean Liquid Laundry Detergent (Original Scent, 100 oz) from Amazon.com. Super Hot! Get GE GTW750CPLDG 5.0 cu. 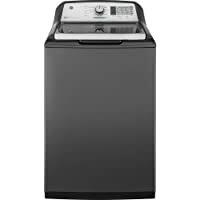 ft. Top Load Wi-Fi Connected Washing Machine (Diamond Gray) from Home Depot. 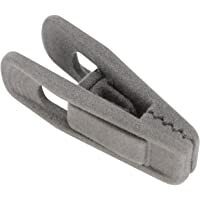 Get 24 Pack NeDonald Velvet Hangers Clips for Thin Velvet Hangers (Grey) from Amazon.com (via Newman McDonald). 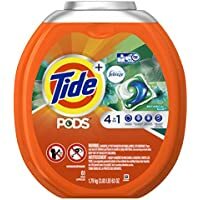 Discount : $7.00 via coupon "7ISMP9EX"
Get 61 Count Tide PODS Plus Febreze Botanical Rain Liquid Laundry Detergent Pods from Amazon.com. 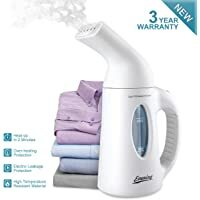 Get Famirosa Travel Size Garment Steamer Iron for Kinds of Fabrics from Amazon.com (via Famicare). 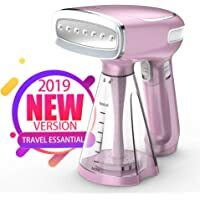 : $12.80 via coupon "9JLTU3IQ"
Get Evening Clothes Travel for Home and Travel Fast Heats Up Handheld Steamer from Amazon.com (via The Golden Swallow). 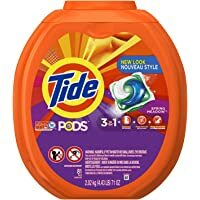 Discount : $11.70 via coupon "YH5S5WAZ"
Get Tide Pods 3 in 1 Liquid Detergent Pacs, Coral Blast Scent, 81 Count Tub from Amazon.com. Deal of the Day! Today only, get 6 Pack Smart Sheep XL Wool Dryer Balls (Reusable Natural Fabric Softener) from Amazon.com (via Mama Moon Boutique). 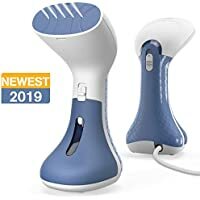 Get Elechomes Mini Garment Steamer with 60s Heat-up Auto-Off Safety Function Fabric Steamer from Amazon.com (via SkySeaCloud). Super Hot! 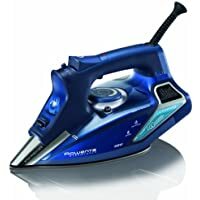 Get Rowenta DW8080 Pro 1700-Watt Master Micro Steam Iron (Blue) from Amazon.com. 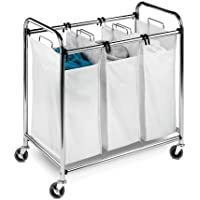 Get Honey Can Do Commercial-Grade Triple Laundry Sorter (Chrome/White) from Walmart.com.